This fresh and bright red blend from northeast Spain’s Cariñena region is named after the unfortunate nickname whispered behind the back of Queen Isabela. 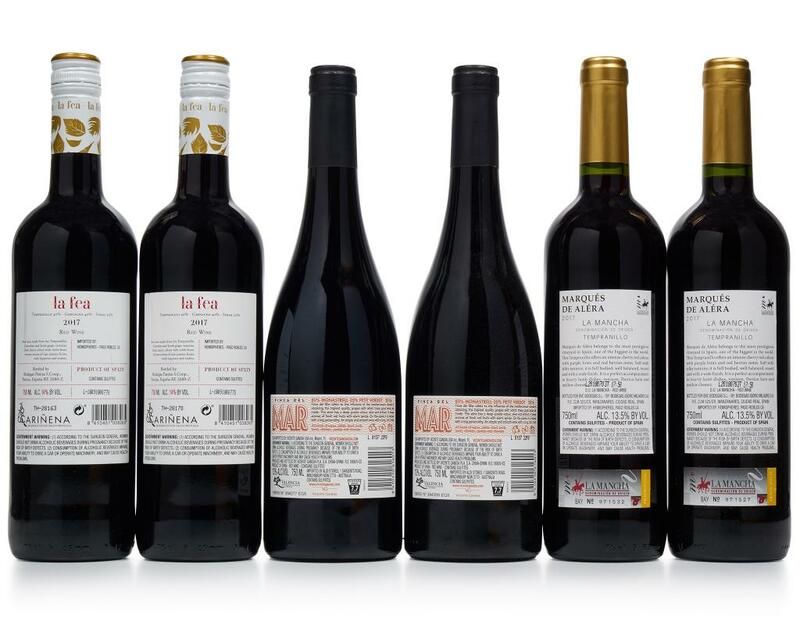 La Fea may translate as “the ugly one,” but anyone who pours a glass of this classic Old World red blend will be struck by its beautiful notes of raspberry, black cherry, violet, and fennel. 40% Tempranillo, 40% Garnacha, 20% Syrah. Marqués de Aléra wines are named to honor La Mancha, Spain wine linchpin Marqués de Aléra, reflecting the terroir that inspired his genius and passion. 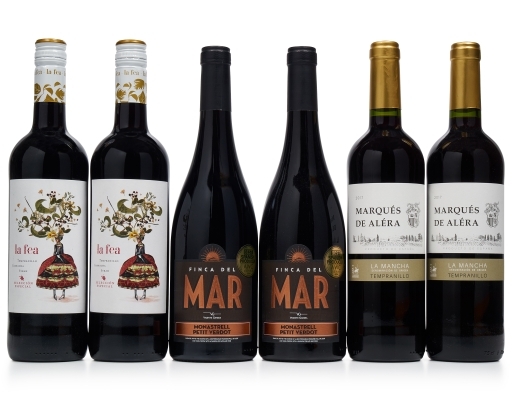 2017 Marqués de Aléra Tempranillo Joven has an intense cherry red color with purple hints, notes of red berries, and soft and silky tannins. Pair it with lamb, ham, and mellow cheeses. From Valencia, Spain, this blend of 80% Monastrell and 20% Petit Verdot is a deep red with violet tones in the glass. The nose is a potpourri of candied fruits and spice, while the palate has a big personality, bursting forth with classic notes of dark fruit like blueberry, blackberry, and plum, and herbal and floral hints from the Petit Verdot.